Managing the relationship between you and your neighbour is a tightrope act of mutual respect and tolerance. It takes more than keeping the kids out of their yard, the peace offering of a pineapple crumble cake, or forgetting to put a password on the Wi-Fi to keeps things congenial. Furthermore, while “Good fences make good neighbours,” there is more to maintaining a friendly relationship with your neighbours than ensuring that neither of you trespass upon the other’s property or privacy. Australia is governed by a very specific set of fencing laws, which need to be observed at all times. Being in the know is important for you and your neighbours. We’ll take you through the laws, making it that much easier to discern who is legally responsible for the cost and maintenance. A fence is a structure that acts as an adequate blockade around a field, yard, or other such expanse of land for the purpose of preventing intrusion. Depending on local law, the definition may include fences of both a naturally grown or constructed nature. A fence determined by a magistrate in a magistrates’ court to be a sufficient fence. A dividing fence must be positioned on the higher ground of a retaining wall which is next to or touches a common boundary. A retaining wall serves the purpose of supporting soil on a slope that is steeper than can naturally be supported. The wall is built to make sure there is no risk of earth movement; sometimes there may be a call for a retaining wall to be erected when dividing fences are being put up. Whether you or your neighbour decide you want to build near the boundary between your properties, your local government has to approve the building and structures. Local government will deal with any queries you have about planning or building. Under the Planning and Development Act 2005 (WA), local government has the responsibility of ensuring all residential buildings comply with the ‘Residential design codes’. The points above apply to whether the neighbouring property is vacant or occupied. In the event of a vacant block, the written notice and agreement should be sent to the owner of the adjoining block. The Dividing Fences Act 1961 (the Act) works in unison with local government bylaws to regulate the erection and maintenance of dividing fences in Western Australia. The Act details the respective accountability and responsibility concerning the sharing of costs between neighbours, the determination of boundaries and conflict resolution. The cost of erecting a wall is attributed to both you and your neighbour as both of you derive benefit from its existence. Whether the property sharing the dividing fence with you is occupied or not, the owner is liable for half the cost. After agreeing upon the erection of the fence with the owner of the neighbouring property, each of you must fulfil your obligation within the specified time. One owner can complete the work and recover the costs from the other in default by issuing a summons in the Magistrates Court. If the neighbour refuses to pay or disputes the line on which the fence was built, you can apply for an order through the Magistrates Court. 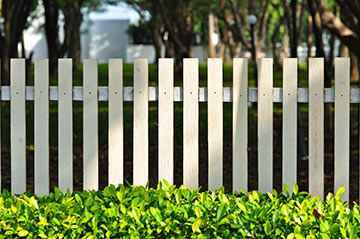 Most state laws or local ordinances place responsibility for the maintenance of boundary fences on the owners that use the fence, unless an agreement indicates otherwise. Similar to the cost of erection, the law places responsibility on both parties because both benefit from the fence. With over three decades of in-depth experience, Wonderwalls takes pride in quality retaining wall manufacturing and installation. If you have a query or are considering making an alteration to your property, we’d like to hear from you.